Effective management of outpatient healthcare benefits. Suitable for factories, organizations with more than 500 employee, colleges and universities. Instant patient verification using student card, employee pass or MyKad. On-line utilization reports and billing transactions. One platform for in-house clinics and panel clinics outside the organisation. 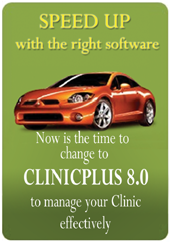 Cost effective & reliable communication medium between clinics and the management office. We at TRM Nett Systems Sdn. Bhd., have developed, implemented and maintaining various healthcare solutions especially on outpatient management. We have done abundance of knowledge transfer and experience in clinic operations and panel interaction into a software product to assist health service providers & administrators to effectively manage healthcare entitlements & benefits. Clinics can check status, verify employee/student entitlements at any time. Receive month end billing electronically with zero data entry. 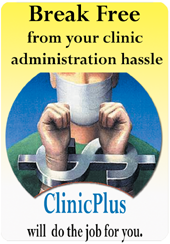 Verify medical billing from various in-house clinics and panels. Produce payment advice to accounts department. Monitor & analyze clinic’s charges. Monitor & analyze medical leaves. This Customised Solution is a 32-bit client/server application with an n-tier architecture specifically designed to comply with Microsoft’s DNA-M 2000 initiative. It runs as a stand alone system or on Windows network using Microsoft Access ® or SQL Server ® databases. This solution uses COM, ODBC, OLE/DB and ADO technologies and is fully compliant Windows application written in Visual Basic and Visual C++ programming languages.